Are you an upcoming musician, or performer in need of exposure to someone who can make a difference in your career? We are an event production company that produces live music showcases that feature special guest representatives from major record labels, such as Warner Bros, Sony Music, Universal, where you are able to perform and network with these representatives in person! We are seeking talented musicians who are interested in performing on stage for a major record label representative. 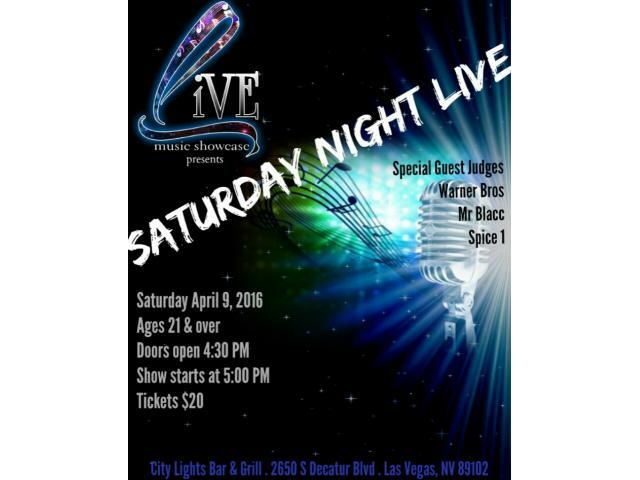 Our upcoming event is Live Music Showcase and will take on Saturday, April 09 2016. In addition to guest representatives from major record labels, we also invite out local Studio Owners, Management Teams, Entertainment Legal Advisors and more! These guest representatives are seeking new and talented artists. We do have a screening process to ensure your music is the right fit for our representative and the show, so if you are interested in all the details, please send us an email to cynthia@livemusicshowcase.com with the following information!